Moved Them To Rockstar Support LOL! They developed some of the most memorable gaming- or even entertainment experiences of all time: the GTA 3D-era trilogy, the GTA IV trilogy, Bully, Red Dead Redemption 1, the Midnight Club franchise or even The Warriors. I hate that they put their focus on the online part of their games with GTA V and now RDR 2. These games just miss the iconic "R* magic" from their previous line-up. I like that they made great games such as the GTA and RDR series. I dislike the fact that they also made the L.A. Noire and Max Payne titles. Guys, just stick with either organized crime or police/espionage. I don’t really like it when companies do both. I like Manhunt, Bully, and IV. I don't like that there's not enough Max Payne games. I dislike the fact that they also made the L.A. Noire and Max Payne titles. They didn't actually develop the first two Max Payne games. I hate that they take forever to release these great games. Like - Soundtracks. Never disappointed me. Hate - Those damn delays. I like their open world design. I dislike some of the stupid decisions they make that no one can understand. Like locking interiors they already f*cking created or in short "restrictions" in their games since IV. Like: Their more serious and grown up games as I believe that's where they really shine. Dislike: Ignoring GTA IV's 10th anniversary. Their genuine, original gameplay ideas that made games like GTA V unlike any other open world game out there. Their intent for money grabbing. Like: The fact that they are the best at making open world games and and adding little by little details into their games that you probably won't even notice. 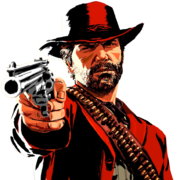 RDR 2, GTA IV, GTA V are good examples for details. Dislikes: It seems like they became money hungry lately. I really hope that's not the case otherwise they will become as hated as EA. I like that they put time and effort into their products. I hate that they barely communicate and constantly stone-wall us when it comes to new releases. Their quality and sense of perfection. The amount of time they take and their severe lack of communication.